Here are four considerations for you. Remember there is more to financial effectiveness than managing taxation, so please seek out personal advice when considering making changes. The current Private Health Insurance rebate drops from 1 July 2012 for singles who earn over $84,000pa or for couples who earn over $168,000. If this includes you, there may be a benefit of paying for your Private Health Insurance 12 months in advance. Please keep in mind the impact of such a prepayment on cashflow. If you wish to review the table for the new rebate levels, you can refer to the rebate table in the 2012 Federal Budget overview. There will be a drop in the tax rates come 1 July 2012. Accordingly, you will benefit from a tax perspective by delaying the receipt of income until next financial year or bringing forward deductions to this financial year. If you want to check the new tax rates, we have them in the 2012 Federal Budget overview. If you are employed, it’s worth starting to get your tax affairs in order. Gather your receipts and document expenses. Deductible expenses may include travel, training for work, a brief case and other work related deductions. Also make a note of items such as donations to appropriate organisations. Currently for over 50s, the maximum tax deduction for super contributions is $50,000 in the current tax year. This will drop to $25,000 from 1 July 2012. If you have the money available and it fits with your financial plan, you may benefit from putting more into super prior to 30 June 2012. 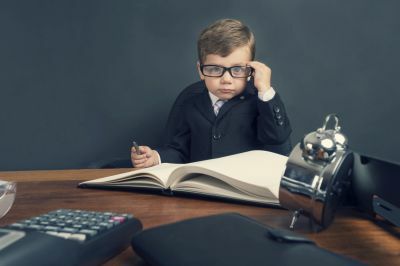 Importantly, if you’re in this age bracket and you contribute regularly to superannuation, it would be worth reviewing your arrangements come 1 July 2012. You don’t want to be in a position where you go over these limits. Read more about concessional/deductible contributions. Currently the government will match up to $1000 of personal super contributions in a year however from 1 July 2012 the super co-contribution will be halved. Not everyone has access to this entitlement though. To review the conditions to be eligible for a super co-contribution go to this page in the superannuation learning module. When considering making additional contributions to superannuation, it’s important to consider this in hand with your other financial commitments such as meeting debt repayments and similar. While these are a few of the strategies available to manage taxation, keep in mind there are other things you can do both now and throughout the year. If you want to read more about taxation and tax planning, click here to go to the learning module.